Its Friday.... one day closer to Christmas... oh my... & I think I'm in the exact same shape as last Friday. No, wait - I bought....um... yeah... I'm in the same shape as last week... dang it! Let's Frag to get my mind off of Christmas being 2 weeks away!!!! TIP OF THE WEEK: Perfect for your Christmas cookie Baking! If your cookies get stuck to your cookie sheet - just remove them by working some dental flose underneath... I'd stay away from the "mint flavored" floss though - unless you're making some chocolate mint cookies - then go for it! 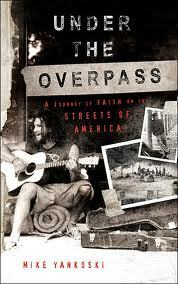 I'm reading "Under the Overpass" & its ROCKING my WORLD! Wait until I do a book review on this... I want to get this book for everyone for Christmas - that's how awesome it is!!!! Happy Friday everyone!!! Stay warm!!! Bless your heart on the tooth ~ I HATE the dentist. I avoid going until there is major work to be done because I am truly phobic of that chair and the creepy noises getting dental work done creates. Hey I'd be showing my $1200 tooth to everybody too! I almost requested that book for a book review but I got David Platt's "Radical" which is SO powerful! Now you have me wanting to read that one too...guess I'll have to buy it on Amazon! 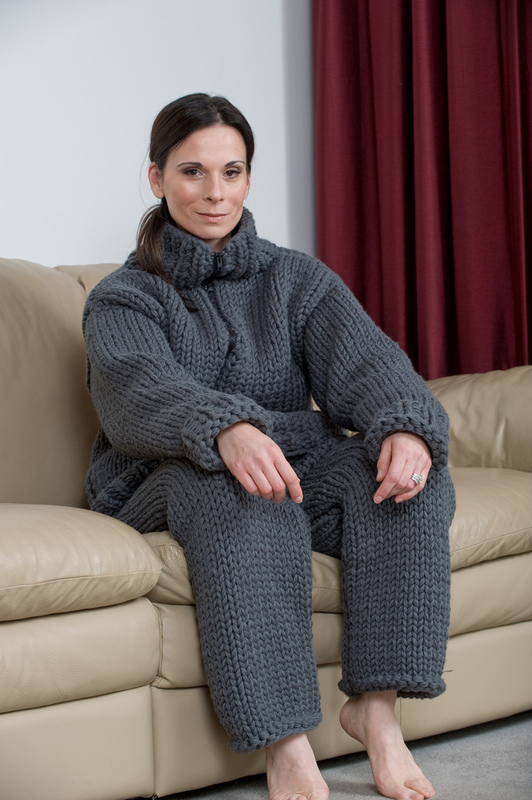 And I love that knitted adult onesie...it would certainly keep you warm! Hope you, Ricky & the dogs have a wonderful, warm weekend! 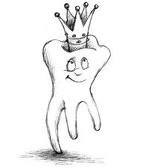 I am off to the dentist next week for my check up and I just know that I'll be up for a crown as I have some big filling that are just old and need to be replaced. Sigh. We're expected to get 14" of snow in the next 24 hours...so my weekend will consist of sitting in my house. Probably organizing a closet or something. Oh you poor thing! I can't believe that they didn't numb you for that crown! Hope you aren't too sore yet today! I was so laughing at you irritating Ricky about it...that sounds like something I would do to my hubby! Sorry to hear about the nose bleeds too...my brother used to get them alot, even in his sleep...and I have a couple of the daycare kiddos that get them. I need to pull out the humidifier soon! Hope you have a better day today! Hugs! that is my nightmare with the dentist, i hate the dentist!! i would be showing EVERYONE my expensive tooth!! you go girl! make ricky look again tonight! if you figure out how to knit a full body sweater in pink, i may have to commission you for my daughter.. she would love a full pink body wrap!!! your post today had me giggling!!! ouch with your tooth but love what you did to your husband. I am loving the "Sing off" also. I so wish I could sing like that..
That knit suit cracked me up. Thanks for the dental floss tip. 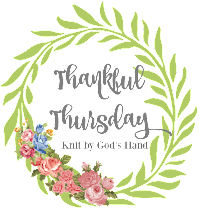 I love the cookie tip, and I'm putting that book on my library list! I love the Singoff, too. The competition is really fierce and though I love jazz, I'm partial to the gospel group. Great harmonies, and it's tough to sing a cappella.